In an effort to introduce undergraduate students from diverse backgrounds to the legal profession, the Law School Admission Council (LSAC) this month awarded $1.5 million to five new law schools through its Diversity Initiatives grant program. LSAC will grant $300,000 each to the University of Akron School of Law, The University of Alabama School of Law, Duke University School of Law, University of Houston Law Center and St. John’s University School of Law to continue the LSAC’s Prelaw Undergraduate Scholars (PLUS) Program at the institutions. The PLUS program will introduce interested first- and second-year undergraduate students from diverse backgrounds to the “rigor and rewards” of a law career. Kent D. Lollis, executive director for diversity initiatives at LSAC. Since 2002, roughly 2,342 students have participated in the PLUS program at 23 LSAC-member law schools. According to LSAC, the PLUS scholars who completed the programs were admitted to more law schools and were accepted at a rate of 79 percent compared to 72 percent for non-participants. PLUS alumni also improved their undergraduate GPA by an average of 2.7 percent between their freshman year and time of application to law school, compared to a GPA drop of -0.5 percent for non-participants, the corporation said. Kent adds that the program is especially important for diverse populations because these students are more likely than other groups to not have lawyers in their families. Throughout the program, students “are exposed to all kinds of areas and practices from prosecutors, to corporate law, to judges, to public interest law. So they get a good idea of what lawyers do,” he said. The five schools will receive the LSAC Diversity Initiatives funding in three $100,000 installments, allowing them to bring 20 to 30 underrepresented students to their campus for about four weeks for three summers. Each PLUS student participant will receive a $1,000 stipend. LSAC’s efforts to bring more students into the profession are not superfluous as statistics show that law is one of the least racially diverse professions in the country. In 2015, the American Bar Association and the Bureau of Labor reported that 88 percent of lawyers were White. Predictably, the “easy answer is access,” said Ebony Bryant, director of diversity initiatives at Duke University School of Law, referring to the basis of the bleak statistic. Duke’s PLUS program hopes to build off of a previous introductory program to the legal profession by equipping students with the necessary skills and support needed to get there. Another deterrent to the profession that many of the PLUS coordinators noted was that students may believe the legal profession to be limited to what is presented on shows like Law and Order SVU. Further, students from communities of color may feel isolated in their journey to law school, or they may hold negative attitudes about lawyers and the legal system. LSAC’s PLUS Program at the five law schools will attempt to dispel any myths or negative perceptions to show “young people that they can make a positive difference working through the law by having a career in the law,” said Christopher J. “C.J.” Peters, dean and the C. Blake McDowell Jr. Professor of Law at the University of Akron School of Law. The University of Akron School of Law previously participated in the “Law & Leadership” high school outreach program and has several active minority student associations, such as the Black Law Student Association, engaging in work in the community and on campus. During the new PLUS program, Peters says the law school will introduce students to role models in the legal profession who have succeeded in using their legal training to make lasting positive change. Other challenges that minority students face entering law school and the legal profession are the cost of financing law school, and a lack of understanding of the skills or college courses needed for the rigorous demands of law school. The program director adds that students may not realize that the demands of law school are very different from undergraduate. It is also a profession whereby students need to be resilient and diligent, she said. AT UHLC, Guiseppi emphasizes to students the importance of preparation, networking and branding for aspiring attorneys. To enter law school and the legal profession, she says students need to develop certain skill sets: the ability to write concisely and the ability to analyze, respond and think critically about different issues. The PLUS program at UHLC will increase access to legal resources by providing students with the opportunity to “demystify” law school and the legal profession through a comprehensive, introductory law school class curriculum, and networking with attorneys through the program’s weekly luncheon speaker series and internship component. 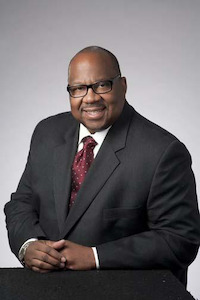 Brant T. Lee, director of Diversity & Social Justice Initiatives at the University of Akron School of Law, explained that students in his school’s program will also become familiar with the law school application process, including working on personal statements and strengthening their application credentials. Likewise, Elaine M. Chu, director of the Ronald H. Brown Center for Civil Rights and professor of law at St. John’s School of Law, said her institution’s program will focus on men of color specifically because of the gender imbalance in higher education that can often “be a very isolating experience.” She said St. John’s PLUS program will give students an honest analysis of their reading and writing capabilities and empower them with mentorship from male faculty and professors. As efforts continue to increase minority law students and professionals, Bernetta J. Hayes, director of Pre-Law Program Operations at the Council on Legal Education Opportunity, Inc. (CLEO), said the number of law school applications for African-American and Hispanic students has slightly increased nationwide. But while minority enrollment is increasing, it is “not necessarily to the so-called top tier law schools,” she said. Advocates for diversity in the profession highlight that because the legal field sparks trajectories to careers as lawmakers, politicians, judges and other organizational executive-level positions, the field should be more inclusive and representative of the country’s demographic makeup. Lollis, from LSAC, believes that the program will “build a bridge” for underrepresented students from the earliest intervention level to enrollment in law school. Upon completion of the PLUS program, students will receive an LSAC fee waiver package to cover the cost of the Law School Admissions Test (LSAT), all law school application fees, an Official LSAT SuperPrep book and registration for LSAC’s Credential Assembly Service. The officials at the participating law schools hope that students selected to for the programs realize that they are supported at the respective law centers, at LSAC and beyond. Mostly, the officials want the students to understand that the legal profession is for them if they choose to work and pursue that career path.